If you are considering purchasing the book ‘Swimming for Parents’ check out the feedback below. 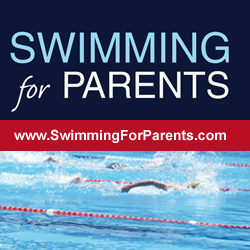 The book is available at www.SwimmingForParents.com and has been written for parents of swimmers aged 8 years to 14 years. More than 3000 copies have sold into 27 countries around the world. 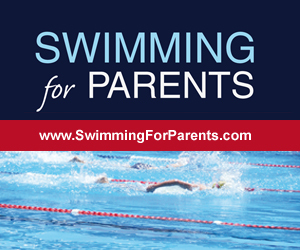 I have read most of the book Swimming for Parents, and have found it to be a useful resource, mainly because it allows me as a parent to relax and feel confident in how I am approaching my childrens’ involvement in the sport. I have this confidence based upon your experience and knowledge, as I know I am hearing how it all works from someone who has been there and seen it many times before. My children are new to the sport, and relatively young, and I have tossed many questions over in my mind about what is best for them the last 8 months, and it helps enormously to be given a guide as to how I should be thinking about these questions. Now I understand what my father meant when he told me, when I was performing as a child (in competitive dancing), that no matter how nerve-wracking it was for me up on stage, it was 10 times worse for him there watching! And thanks for the great books. Swimming for Parents has been extremely helpful with my 12 year old daughter. She’s been swimming since grade four and we knew nothing about the sport when she started. Now she is getting pretty serious about swimming and your book is still very useful. Can’t wait read Nutrition for Swimmers now.